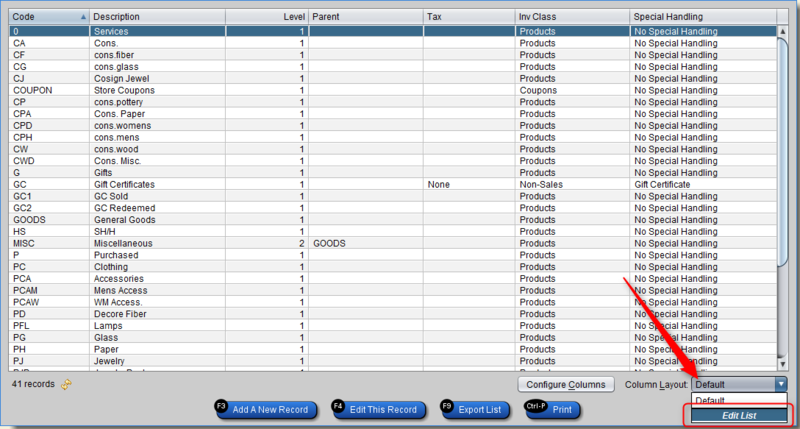 Any screen that displays a list in column format can be customized by selecting the Configure Columns button. This allows you to build your column display to be exactly what you want to display when searching. After selecting the Configure Columns, this is the screen that will display. You can browse Available fields and take a look at some of your possible options. To apply one of these new fields to the display, select the ” > ” icon to move a field from available to the Show as columns in this order selection box. To remove a field, the ” < ” pushes the selected field back to possible fields. After making sure that all desired columns are present under Show as columns in this order, the Move Up and Move Down buttons allow the selected field to be moved in the desired order of display. 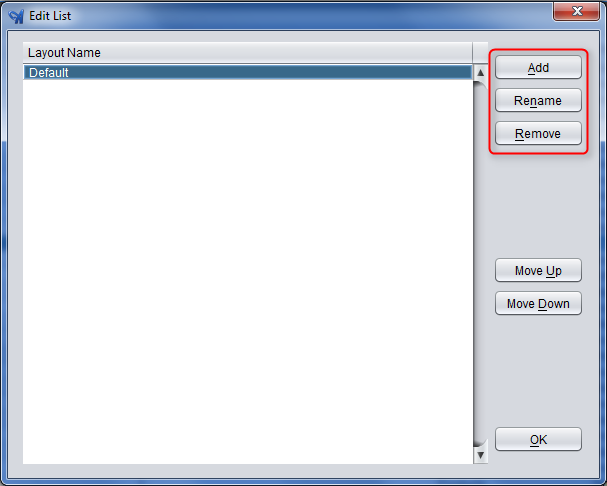 Once everything is set up the intended way, select the OK button to save the format. 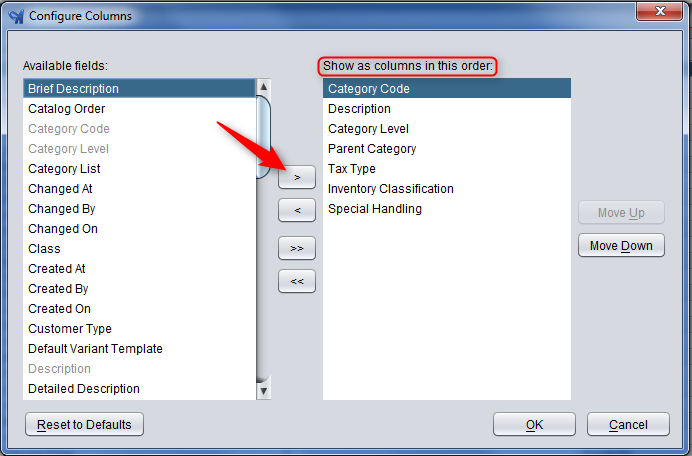 The Column Layout dropdown will allow saving and organizing multiple variations of custom configured columns. 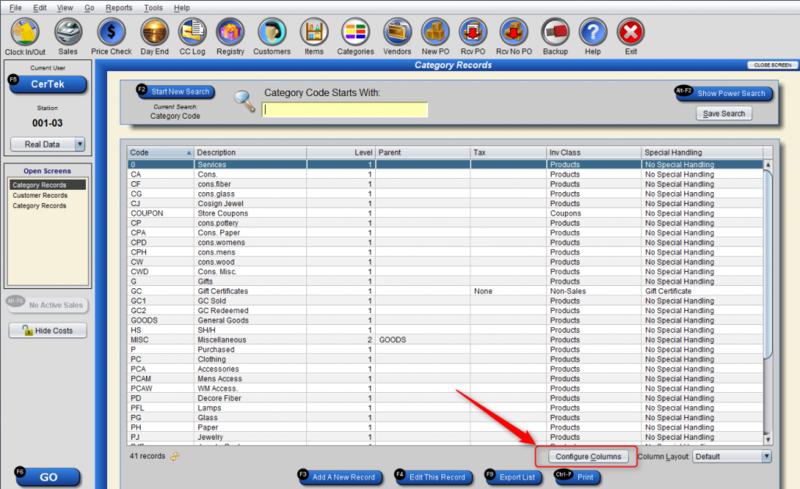 Selecting the Edit List option will open a menu where you can create multiple layout identifiers. 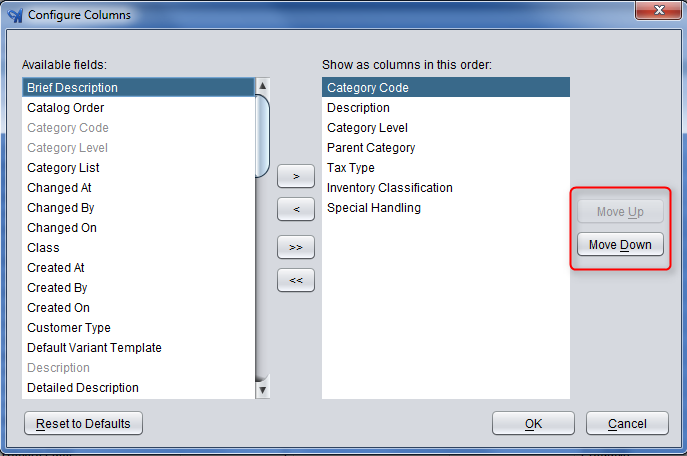 This screen allows you to Add, Rename and Remove layout names to best utilize the features of having multiple column configurations.